Caring for a child with ADHD is exhausting, it can be lonely, it can be isolating and it can be draining. The chaotic, impulsive and fearless behaviour makes normal everyday activities just plain stressful. So when writing this piece we have tried to think about what we would say to a parent or an individual who is trying to get their head around ADHD. There is more is being discovered and understood all the time through research but for now this is a general overview, with some of the doubts and questions that we regularly get asked. Please send us questions and we will do our best to answer them. In 1798 the Scottish Doctor Sir Alexander Crichton called it Mental Restlessness in children. It became Hyperkinetic Syndrome in the 1950’s again in children. Most recently in 2013, for the first time diagnosis now includes the three types of ADHD in both children and ADULTS. It also allows for a person to be given a dual diagnosis for example ASD (Autism Spectrum Disorder) and ADHD. With ADHD now being listed in the new category of Neurodevelopmental Disorders. Acknowledging the growing body of scientific evidence to support diagnosis. 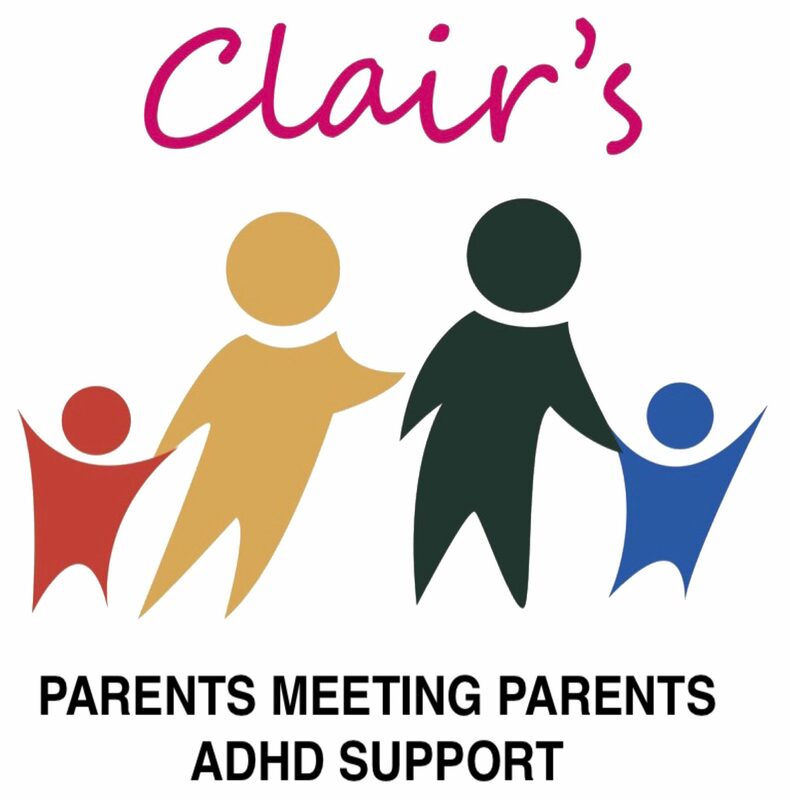 ADHD is no longer considered to be bad behaviour caused by poor parenting, it is a condition that can be managed. So what is ADHD and where does it come from? ADHD is now considered a diverse, neurodevelopmental disorder. Neurodevelopment disorders are disabilities in the functioning of the brain that affect a child’s behaviour, memory or ability to learn (not their intelligence). Studies have shown that about 75% of individuals with ADHD in childhood will still experience significant symptoms. This doesn’t necessarily mean that the other 25% no longer have ADHD, they may just be able to manage their symptoms better. We have heard it described as changing from a hyperactivity of the body as a child to becoming more a hyperactivity of the mind as an adult (please remember that is not everyone, because we are all different). We need to mentioned the other conditions because there is often a lot of overlap (or co-morbidity) among them. For example, a child with ADHD may have specific learning difficulties such as dyslexia too. Other examples of co-morbidities are: Autism, Tourette Syndrome, specific learning difficulties, brain trauma, fetal alcohol disorder and genetic disorders. All children are individuals and as such their behaviour can vary from being ‘very dreamy’ (unable to concentrate) through to being ‘always on the go’ (hyperactive). They may become over stimulated and overwhelmed by things other people wouldn’t even notice such as noises, smells, movement or visuals (e.g. walls covered in bright posters at school, things dangling from the ceiling etc). They have trouble filtering all the information coming into their brain, therefore are easily distracted, impulsive and tend not to know when to stop. ADHD has been around as long as there have been people. It is thought to affect about 9% of people in the UK. You will hear people say, ‘no one had ADHD in my day’. What they are forgetting is the child in their class who was always in trouble, who couldn’t sit still, who were told they would never amount to anything. What they are actually saying is that people used to go undiagnosed, get absolutely no help and were forced to suffer through their lives because they had zero support or understanding. The exact cause is still not known. What we do know is that it tends to run in families. Children with ADHD usually have at least one close relative who has ADHD, which indicates that there must be a genetic link. Research has also found differences within the brain… in the structure and the size… which can be about 5% smaller in affected children. Research also shows that there is an imbalance of chemical messengers or neurotransmitters within the brain. These chemicals are Dopamine (helps regulate sleep, movement, mood and attention) and Norepinophrine. Some forms of ADHD are characterised by wanderlust, the compulsion to move house, cities and countries. This is the individual continually scanning their environment and mind to find stimulating experiences and thoughts, which they need to fire up their brain to fully engage with the world. This can also result in a higher likelihood of ending up addicted to drugs, in prison or have compulsive fixations. Exercise helps!!! Exercise elevates dopamine, norepinephrine and endorphins. This helps attention and focus and reduces impulsivity. ADHD individuals tend to find it hard to take responsibility for their impulsive actions and often project the blame onto someone else. We can’t talk about ADHD and not mention Executive Function. Executive function in people with ADHD under 30 is usually about 30% behind their chronological age. This means the executive function of a 10 year old may be more that of a 7 year old. This important to remember so we can set the correct expectations for our children, especially when they frustrate us with actions that are not age appropriate. Executive function will affect a childs’ ability to regulate emotions, body, impulses, social awareness and general maturity. Although ADHD can be helped with strategies and behaviour training, we must mention medication. Medication isn’t usually the first thing to be suggested after diagnosis. It is a big step and only considered if symptoms are quite bad and other support isn’t helping. Medication is always a personal choice, it suits some individuals and others it doesn’t. It is not an easy decision to make, all you can do is make the right choice for you or your child. There are two types or medication: stimulants – amphetamines and methylphenidate, and non-stimulant – atomoxetine. These are controlled medications. They stimulate the front of the brain which floods it with dopamine. People with ADHD don’t react to them the same way as you or I would. We might become hyperactive or jittery like we’ve drunk too much coffee… where as they help a person with ADHD to calm and focus. It is also mentioning problems with sleep. Individual with ADHD often don’t produce or produce enough melatonin. Melatonin is the hormone that lets us know when we are tired, so sleep strategies are used to help but sometimes Melatonin tablets may also be prescribed (these are not sleeping pills, they only let the body know it is tired). So if someone says to you ADHD is not a real medical disorder! Please remember… ADHD shows up all round the world regardless of culture, politics, economy or social environment. The rise in the rates are due to better recognition, acceptance and treatment but some people still blame the drug lobbyists… in the UK the NHS do not want to pay to medicate children with controlled medication needlessly. ADHD is a legitimate medical disorder that impacts about 9 % of people in the UK. There are people who doubt the condition as it is invisible and there are currently no medical or laboratory tests or scans to make the diagnosis. An ADHD diagnosis is based on clinical symptoms and presentation of those symptoms over time. If someone has migraines…there are no objective tests for migraines, yet no one is running around saying chronic headaches are not a medical disorder. There is enough proof that there are enough differences in ADHD brains to make it undeniable that the brain of an ADHD individual is uniquely different – both in the way it is structured and the way the neural networks activate. Most people don’t grow out of ADHD!! So an ADHD child will become an ADHD adult. Research shows that ADHD is genetic, and although environmental factors may play a role too. Fortunately, poor parenting isn’t one of them, even the worst parents can’t cause ADHD. Children with ADHD can’t control their impulses (like shouting out in class… it isn’t like they haven’t been taught it is wrong). It is brain chemistry, not lack of discipline. In fact according to experts overly strict parenting (punishing a child for something they can’t control) can make ADHD symptoms worse. Please remember most people don’t grow out of ADHD. Most just learn to manage it. The fact is most adults who have ADHD haven’t been diagnosed, which makes them extremely vulnerable. And girls are just as likely to have ADHD as boys… it’s just that boys can be easier to spot. Some people assume that giving children stimulants they’ll be more likely to abuse other drugs in the future… in fact the opposite is true… if you don’t treat ADHD, you are two to three times more likely to abuse drugs and alcohol. Young people with ADHD who take medication are 50% less likely to abuse drugs than their peers. ADHD medication is not a chemical cosh, they do not turn children into zombies!!!!!! Well, it can do, especially if it is left untreated… it can wreck lives. It can impact self-esteem, mental health (insomnia, stress, anxiety and panic attacks did you know it is known that ADHD increases suicide risk 5 x), education (academic failure), legal problems (they think that 25-45% of offenders in prison have ADHD), social and family life (toxic relationships, divorce, constant conflict), sexual behaviour, driving ability, job performance (higher unemployment), financial stability (paying bills, impulse spending).